For ECAL’s “Low-Tech Factory” exhibition, design students Laurent Beirnaert, Pierre Bouvier and Paul Tubiana created Oncle Sam, a popcorn machine that pops just one kernel at a time. 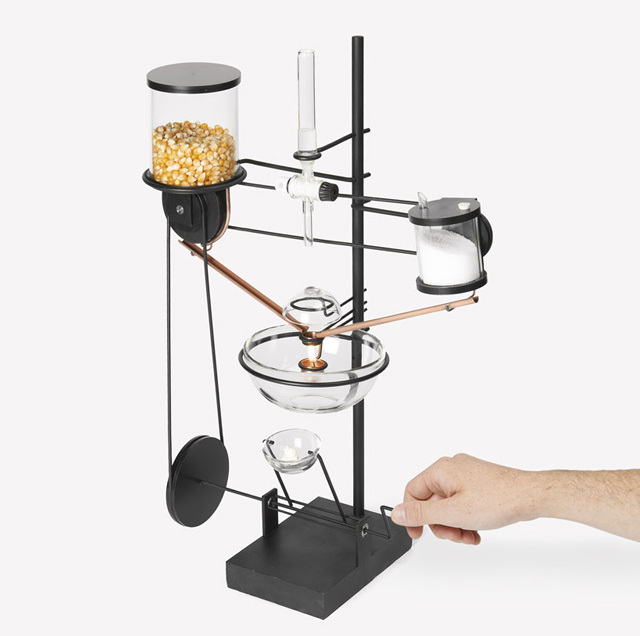 At the final stages of the process, this contraption even butters and salts the single piece of popcorn that was produced. Watch this video to see the machine in action.